Same knob as k40, but in swirled brown. 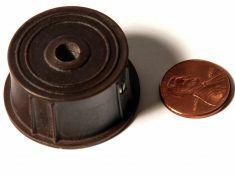 Used on 1939 radios. Always used with the brown volume knob k40.